The Grand Casino or Casino de Monte Carlo is where some of the wealthiest people in the world come to gamble. The parking lot out front is typically littered with Bentleys, Ferraris, Lamborghinis and occasionally a Bugatti or two. The casino was first established in 1856 and is still in operation today. It has been featured in many movies including the popular James Bond film: Casino Royale. This private gaming club is not really a typical casino, but has quite a lot of history. It was first established in 1828 by William Crockford under sponsorship by the Duke of Wellington. For £1000 you can join one of the most elegant and exclusive gaming clubs in the whole world. The Weisbaden casino is one of the oldest casinos in the world with a lot of history. The casino first opened after Prince Carl von Nassau-Usingen gave a city banker a license to operate the casino for 200 Gulden in 1771. The casino has been shut down several times due to a revolution and a ban on gambling, but has been reopened and can still be visited today. They claim to be the oldest casino in the world on their site, but the Casino Di Venenzia has them beat by a bit over 100 years. Casino de Spa was first established in 1763 and completed in 1769. The current front for the casino was redesigned in 1918 after being rebuilt due to fires. In 2003 the Circus Casino Spa Group purchased the casino and are the current owners today. 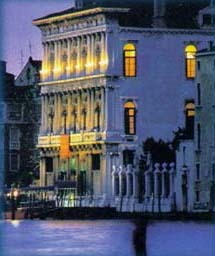 First established in Venice in 1638, the Casino di Venezia is currently the oldest operating casino in the world. The casino still has the facade of the original building and is full of history. If you are ever in Venice, this casino is a must see for any gambling enthusiast. Tagged with casino history, Casinos, Oldest Casinos, Worlds Oldest Casinos.